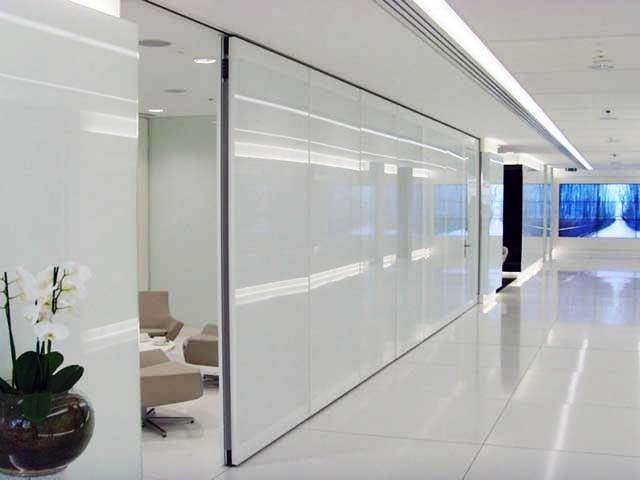 We are one of the UKs leading specialists in the supply, installation and maintenance of movable wall systems. 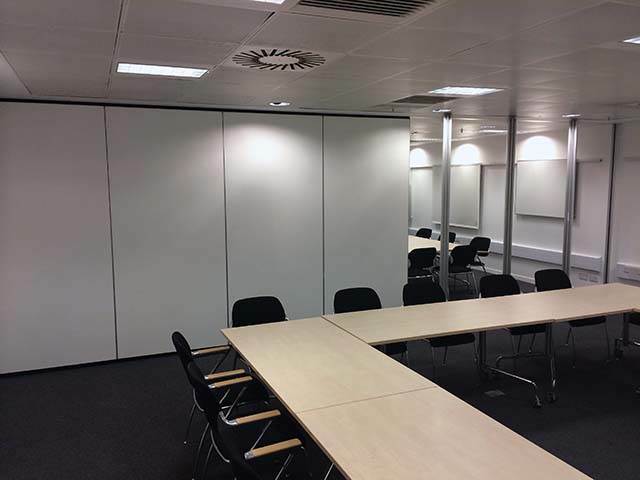 The team at Ezyglide has a vast experience in all aspects of moveable wall systems and work alongside some of the largest and well known construction organisations and interior fit-out companies in the UK. From start to finish Ezyglide provides a complete and competitive service including design consultation, supply, installation, commissioning, maintenance and servicing. Ezyglide also gives a two year warranty on installation, double that of other suppliers. All products either supplied or installed by Ezyglide have been manufactured to DIN EN ISO 9001:2008 quality standards and come with fast delivery times. 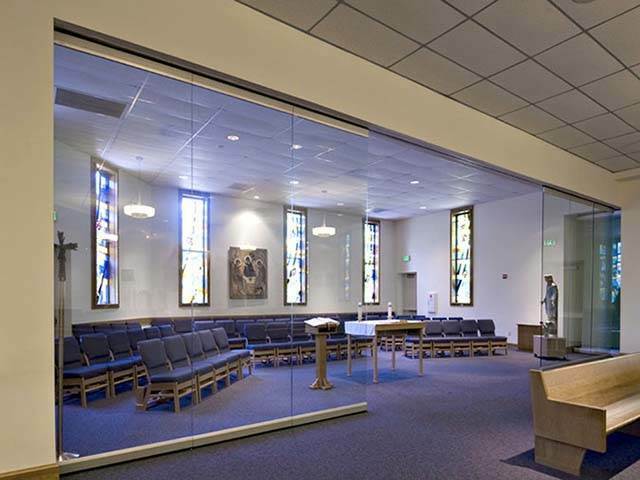 Ezyglide offers one of the widest ranges of operable walls in many styles that can be used for many applications. 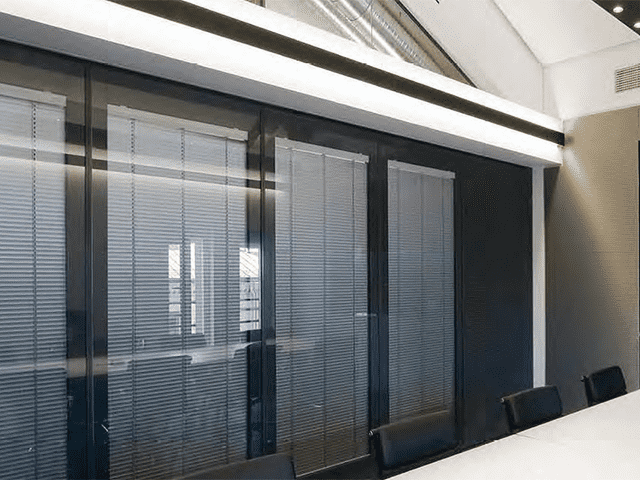 Options include acoustic performance, multiple stacking, multiple track options and configuration options, head track suspension, effortless operation and all are available in a wide range of finishes and colours. 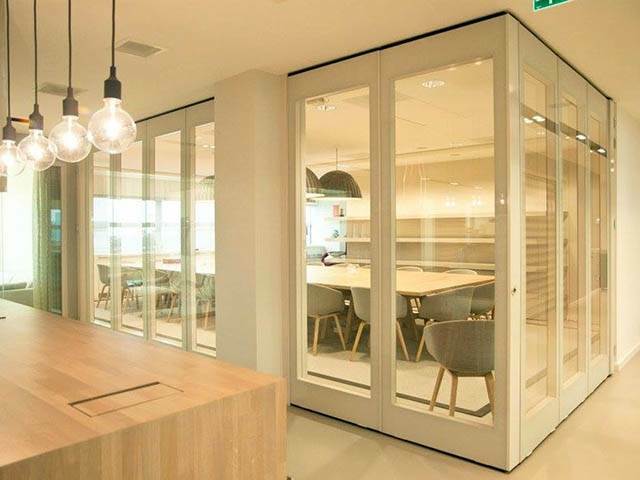 With its simple operation and construction a sliding or folding door can be either top hung or set in a floor track. Ezyglide offers a large range of sliding and folding doors which too are available with a huge choice of options. 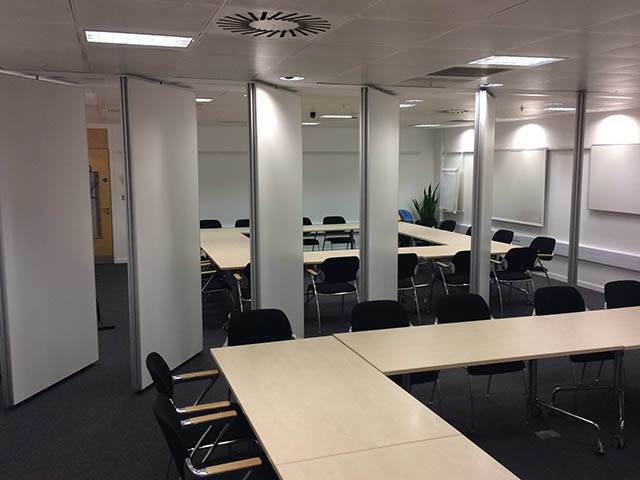 Ezyglide will design and install a movable partition system to meet your exact requirements so if you think you have an original design please do not hesitate to get in touch. 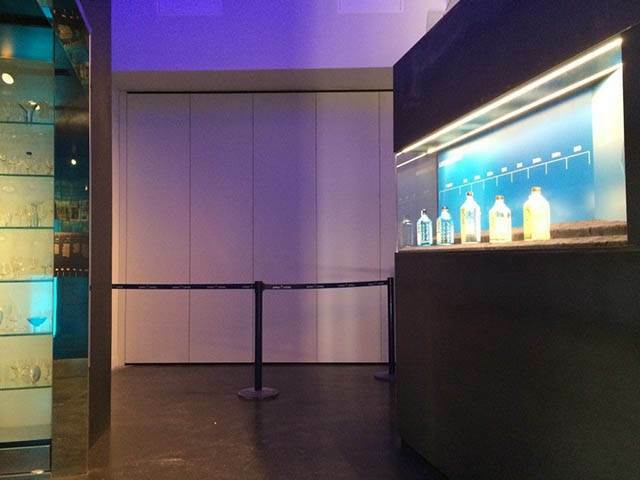 Encompassing modern day architecture with their minimal frame and maximum transparency Ezyglides single or doubled glazed systems can create a whole range of opportunities and showcase your business to customers and visitors. 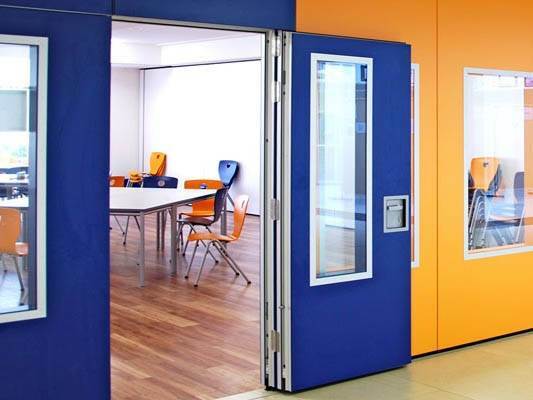 Banks, schools, restaurants, shopping arcades and more can all benefit from the openness of these systems so to find out more please visit our website. 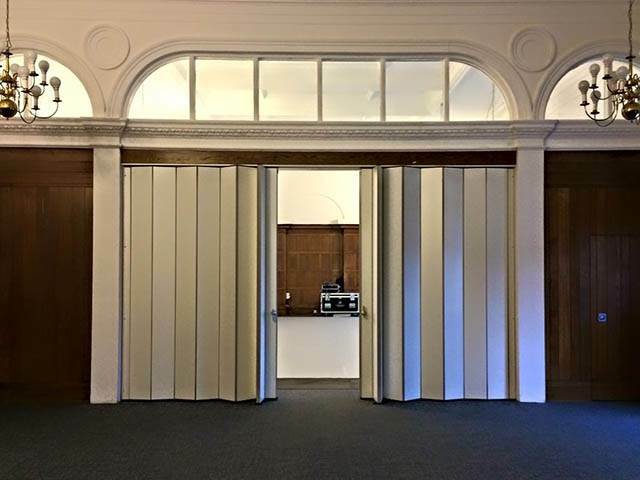 Demonstrating the very latest in moveable wall technology our electric systems offer a very simple operation without compromising the acoustic performance. Electric moveable walls are operated automatically with no internal mechanisms or manual handle. They are also installed by means of a head track suspension so no floor track is required. 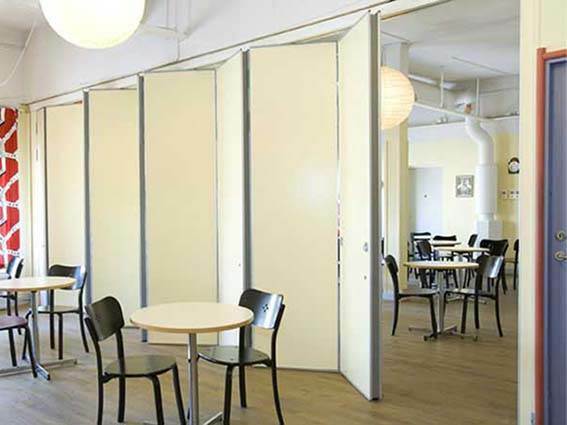 This type of moveable wall is by far the most affordable option if you need an installation that offers ease of operation with flexible space management. 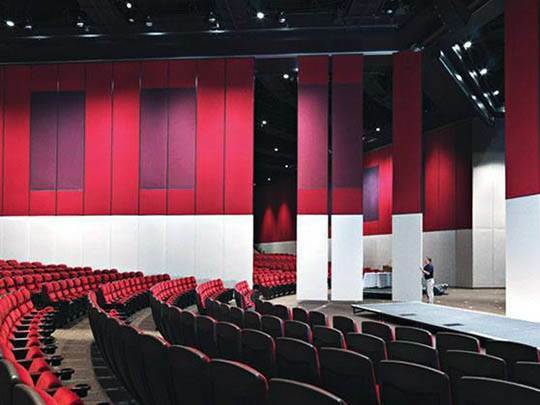 Both concertina and vinyl’s are perfect for many environments delivering style and durability. We offer only one level of service and that’s a 'Fully Comprehensive One'. A regular scheduled maintenance program will ensure all of the moving parts are kept in perfect condition to provide optimum performance. It will also extend the life of your installation by curing small defects before they materialise into a fully escalated problem. If you would like to find out more about this service or any of the products and installations Ezyglide is able to provide please visit our website. 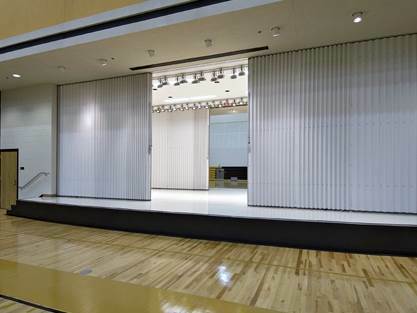 ith its simple operation and construction a sliding or folding door can be either top hung or set in a floor track. 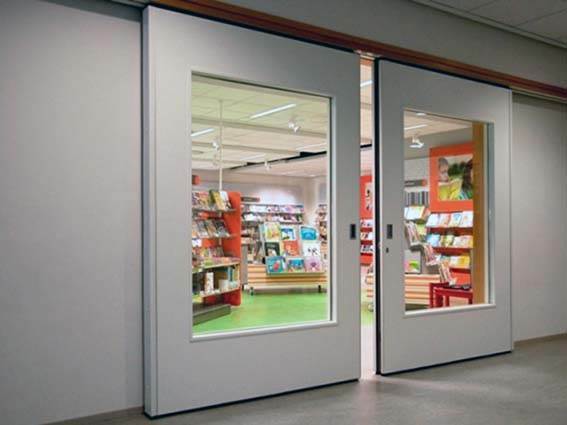 Ezyglide offers a large range of sliding and folding doors which too are available with a huge choice of options. Work started on The Wall today, good to meet a firm, that sells and installs and smiles- good people. I was there much of the time your installers were there and a grand job they have made of the screen which has been greeted very favorably by church members.